The architecture of the Ghat Ke Balaji temple looks majestic and in some ways resembles the city palace structure. Ghat ke Balaji temple is located mid way between Galta temple and Sisodia Rani Ka Bagh / garden,off Agra Highway near Ghat ki Guni. It’s hardly fifteen to twenty minutes drive from the Jaipur city center. 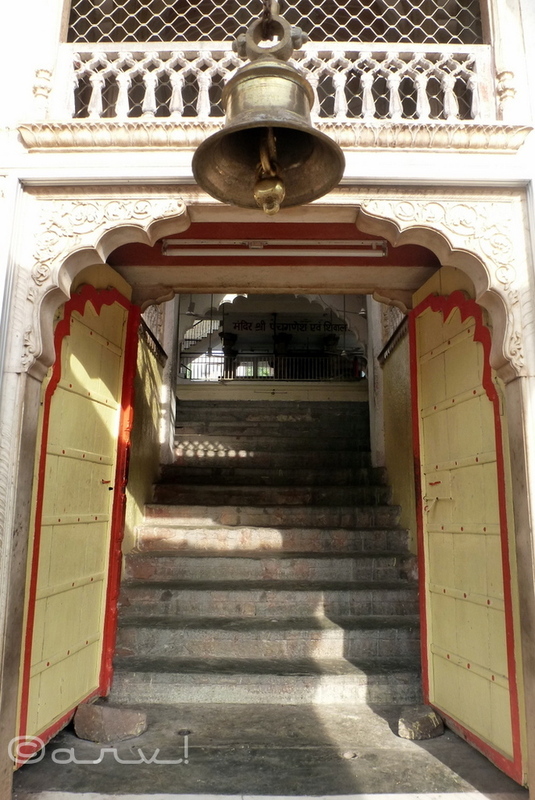 Entrance of Ghat ke Balaji temple, Jaipur. The temple is dedicated to the Lord Hanuman . Even though temple dates back to few centuries, it has faded from the list of popular temples of Jaipur. While Khole ke hanuman ji temple has gained importance steadily, over the years, it’s the other way around for the Ghat ke Balaji temple. Beautiful paintings inside Ghat Ke Balaji temple. Heritage paintings are in urgent need of attention & care. Ghat Ke Balaji temple has an impressive architectural presence,which is in line with the temple built during its time. 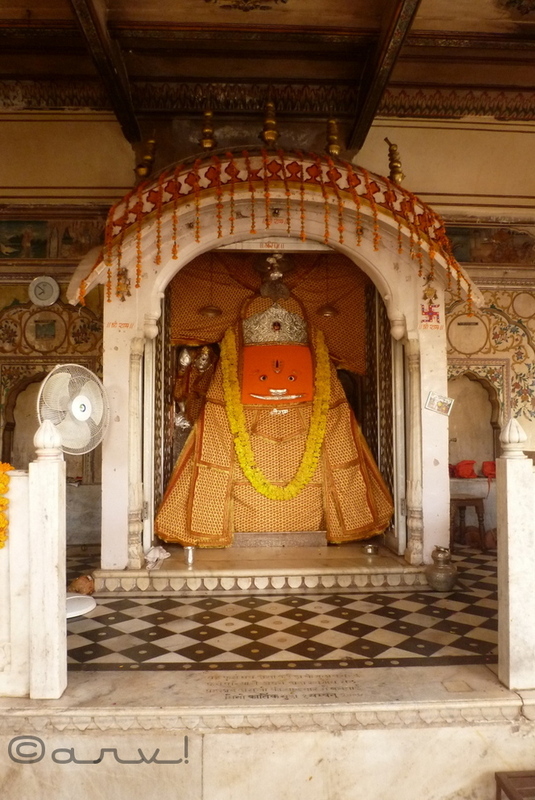 No other temple, dedicated to the Lord Hanuman in Jaipur can rival its grandeur & architecture. Although fair amount of renovation has taken place over the years, the temple still maintains its original character. The paintings in the main sanctum are unique although they are in a need of an urgent care & attention. Do visit, if you are visiting Galta / Monkey Temple or Sisodia Rani Garden. Hi Ruta! Some of these temple are quite ornate and have lot of detailing while others have beautiful frescoes and paintings. Pictures can never replace the actual experience. like Europe, we too have some great architecture here. I think you should visit Jaipur, some day! 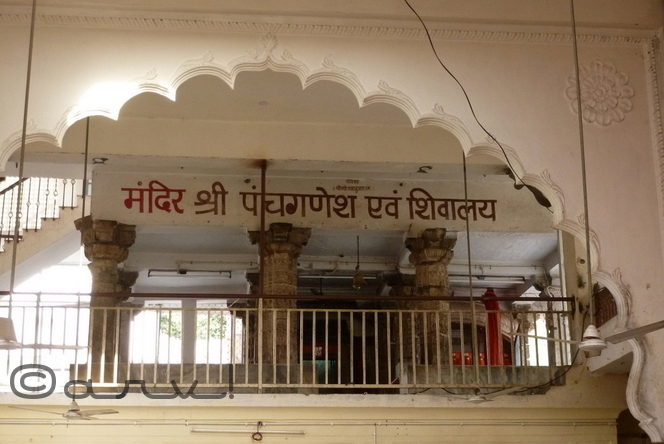 Pingback: Chaturbhuj Temple, Jaipur – The “Sevak” | Jaipur thru my lens !! Thanks Pinkymanoj! I’m sure..lots of people love to visit..again & again!! Do you keep visiting Jaipur often? I had been there just once!! Nd fell in love with the place instantly…. I did get chance to trip there but didnt workout….hoping to get there soon… The palaces are just majestic there…. Jaipur was explored on the way to Delhi… I guess A seperate and complete trip to Jaipur needs to be explored soon.. I have to say thank you and appreciate your introduction about the wonderful temple. 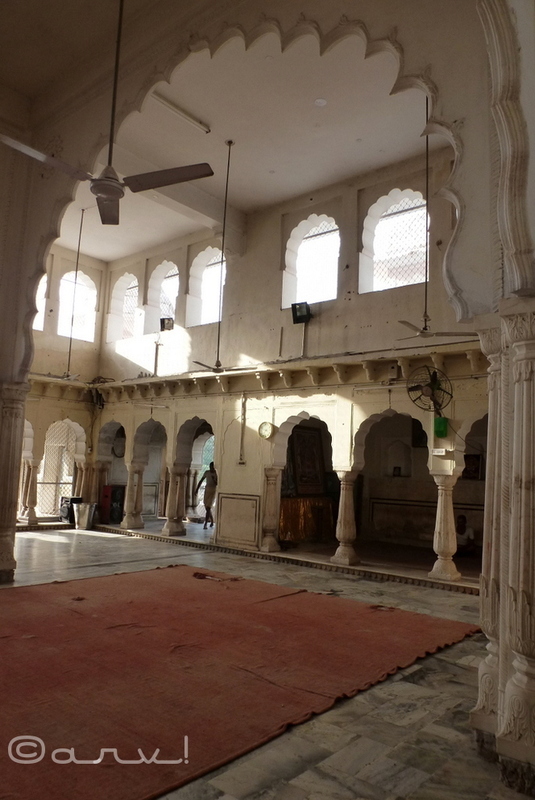 I do love old traditional buildings especially beautiful ones, and your articles really helpful to me for planning to visit Jaipur. Those frescoes are magic and significant for me. Hope I have chance to see them! Does it has any taboos while travelers take photos in temples? How early temples be opened and what time be closed? In Ghat Ke Balagi Tample, Tuesday Morning mandir Pandit ji Mangla Darshan not done , So many people standing in outside the Temple for wating opens the Door of Temple, mey I request for Consern person Sh Suresh Mishra ji pls take action or neceracery arrangements of morning Darshan 5am on every Tuesday. Pingback: Ghat Ki Guni….. In a class of it’s own! – Jaipur Thru My Lens ! !